There are a lot of great free and paid project management solutions available online for teams, but if you already host your own site, you could easily put together an easy-to-use project management system using WordPress. 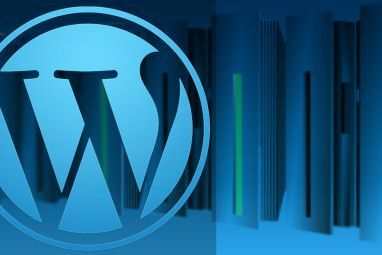 There are several reasons to use WordPress. If you’re already hosting your own website, there’s no extra cost, unlike the more popular project management services. WordPress is easy to use and highly customizable with themes and plugins, allowing you to create your own project management blog to suit your needs. Wordpress can easily be accessed on the go with mobile apps for Windows Mobile, iPhone and Android Post To Wordpress From Your Android Phone with WpToGo Post To Wordpress From Your Android Phone with WpToGo Read More phones. And lastly, you aren’t at the mercy of another service, with the peace of mind and security of hosting your content yourself. Once you have WordPress installed, the first thing you need to do is choose a theme. Theoretically any theme will do the trick, but there are a few themes that have been designed specifically with this concept in mind. P2 is a free WordPress theme that allows you to post updates from the front page of your blog. Users have the ability to embed images, audio files and videos all from a Twitter-like update box. The theme’s customisations include a custom header and the ability to change the background colour or image. You can also restrict posting access and hide the comment threads by default. P2 can be used as a means of keeping other team members apprised of your latest updates in any given project, by using categories and tags as a means of keeping the posts structured. If you choose to use the P2 theme, and would rather keep your updates private, you will need to install the plugin Members Only, explained in more detail below, in order to toggle your privacy settings. GTD Templatic is based on the P2 and it makes it even easier for a team to collaborate privately, sharing files and content, all from the front page of the project management blog. Setting GTD Templatic up is painless. After you have installed and activated the theme, you can choose whether or not to display post titles, make the blog private, enable file attachments and enable email notifications. Users can post updates from the front page, attach files to each post, and tag their posts in order to maintain an organized structure. However, if you would like to embed any media in your post, this will have to be done from the back-end of the blog. One of GTD Templatic’s best features is the ability to selectively notify other members when you have posted an update. GTD Templatic, like P2, is very reminiscent of Twitter, using a simple and minimalist approach for project management. Prologue is the simplest option of all, where updating from the front page is limited to text updates only. Of course, adding updates from the back-end includes all the standard WordPress options for posting. Unlike P2 and GTD Templatic, where comments appear on the front page, each update has to be opened in order to view the comments. Prologue’s customisation is limited to a custom header, and like P2, in order to limit access, the plugin Members Only must be used. 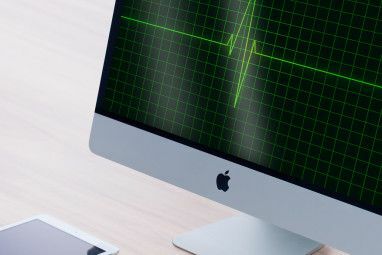 Once you’ve chosen your theme, there are a variety of plugins that can be added to your blog to enhance the experience. CollabPress is the ideal plugin to use together with any of these themes, as it adds the much needed organization and structure to the back end of the project management blog in order to effectively outline projects, tasks and deadlines. After you have created your project, you can create tasks, assign them to specific users, notify them by email of their task, and give them a deadline. The CollabPress dashboard features a section with all recent activities, a section with your personal tasks, a calendar, and links to each project. CollabPress settings include enabling email notifications and setting the level of access, which makes it the only project management plugin listed here that allows users who do not have admin privileges to access the plugin. WP-Project is a useful plugin to use if you have several clients. You can create as many projects as you need, assign the project to a client, and add tasks, keeping track of your progress, marking each task as completed once it is done. In order to have access to the WP-Project plugin, users must have admin privileges. WP-Task-Manager can be used in conjunction with WP-Project if a more elaborate task management system is needed. With WP-Task Manager, users can add tasks, assign them to specific users, and assign deadlines. Other users can also comment on the tasks, and mark them as completed once they are done. Like WP-Project, a user must have admin privileges in order to access the Task Manager at all. If you would like team members to vote on various issues, you can install the WP-Polls plugin, and have polls featured in the blog’s sidebar. After activating the plugin, create your poll and take note of the poll’s number. This will result in the poll appearing in the sidebar. In the case of P2 and Prologue, the plugin Members Only will ensure that no one else can view your content. The entire blog will only be accessible to members who are logged in, and you also have the choice of redirecting visitors to a specific page on your website. If you would rather use a theme of your choice, Post from Site is a plugin that gives you a quick link to creating a post from the front page of your site. The plugin has elaborate settings, toggling the creation of posts, categories and tags, uploading images and enabling comments, amongst others. So for example, if you would like it to appear in your sidebar, once again navigate to the theme file, Sidebar.php, and insert the code in the file. Clicking on the link will result in a window overlaying the blog, enabling users to add a new post. Once you have your site set up, you are ready to start adding users. This can be done easily from the back-end of WordPress, and remember if you plan on using the plugins, you have to give your team members admin privileges. As you add users, their credentials will be emailed to the email address you provide. 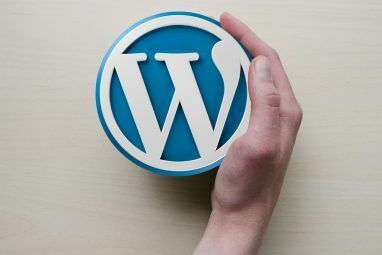 If you need help getting started with WordPress and if you don’t have your own self-hosted website, check out Jeffry’s article on how to get one for free How To Setup A Self-hosted WordPress Blog for Free How To Setup A Self-hosted WordPress Blog for Free Read More . Have you tried to use WordPress for team collaboration? Let us know what you thought of it in the comments. Explore more about: Task Management, Wordpress, Wordpress Plugins, Wordpress Themes. Good article! Another user of P2! Automattic out did themselves again! It should be noted that P2 is actually the second incarnation of Prologue (P2=Prologue 2). Great post. You should also look into http://BraintrustHQ.com, it provides the same level of simplicity, except you can be up and running with your team in under 2 minutes. Post title got me all excited. However that looks like a pretty kludgy way to handle project management, especially when there are better free options available.